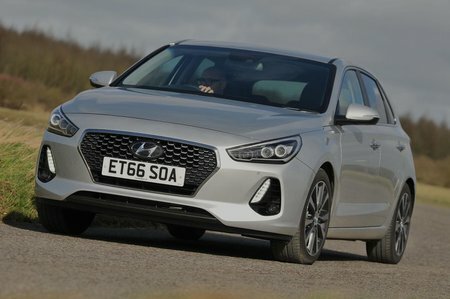 Used Hyundai i30 Review - 2017-present | What Car? What's the used Hyundai i30 hatchback like? Time was the phrases ‘Hyundai’ and ‘handsome’ would rarely have been seen together in the same sentence. No more, it would seem, because the third-generation i30 wears a suit as sharp as any other family car. The question is: does it have the substance to back up its style? 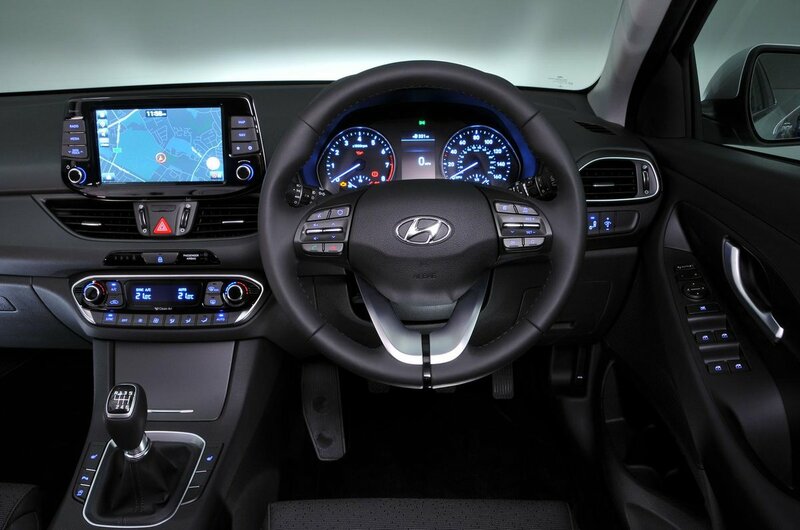 First impressions are promising; inside, the i30’s dashboard is easy on the eye and the plastics used throughout are of reasonable quality. It’s a shame that some of them are rather dark, leading the interior to feel a little gloomy, but for the most part it’s not an unpleasant place to be. You get a decent amount of space up front, too, although in the back it’s a little tighter than rivals such as the Skoda Octavia and Nissan Pulsar. The same can be said for the boot, although you do get slightly more luggage space than you’ll find in either a Volkswagen Golf or Ford Focus. Out on the road, most versions of the i30 benefit from a soft suspension set-up that bestows upon it a very agreeable ride on all but the roughest of roads. The downside is that the i30 has a tendency to lean over more in corners, meaning it doesn’t feel as sharp or responsive as some of its more composed rivals. The slow, numb steering doesn’t help – but there is at least plenty of grip. You get to choose between three petrol engines – a 1.0-litre, a 1.4-litre and a 2.0-litre – and a 1.6-litre diesel, all turbocharged. Unfortunately, none of these engines is particularly scintillating in terms of performance, with the exception of the 2.0 petrol. This can be found exclusively in the i30N hot hatch, which bucks the trend of the rest of the range by offering genuinely involving handling and exhilarating acceleration. The i30 suffers from a little more engine and road noise than you might like, especially if you choose the 1.0 petrol engine. That said, it’s by no means the worst in its class for refinement; it just can’t quite match up to the best.